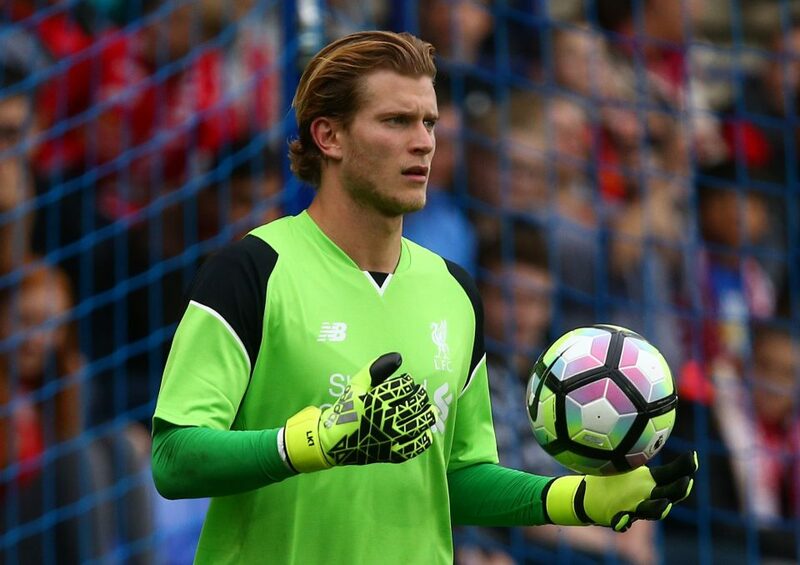 This is certain to happen, as Klopp has already stated Karius will make his debut later on. A cup game is the right moment to throw in Karius without too much pressure on him. 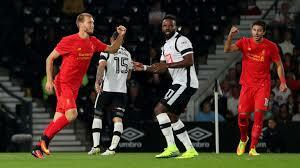 Joel Matip made his debut in the EFL cup tie against Burton Albion and has started every game since then so Karius needs a good solid game here to really put the pressure on Simon Mignolet. Clyne seems to start every game for Liverpool and so rarely misses a game. We are so thin in this area that Clyne can’t be rested too many times at all. Our back up right back options are youngsters Conor Randall and Trent Alexandre Arnold so we are very thin in this area so I expect Clyne to start again. Klopp may choose to rest first choice centre back pairing Joel Matip and Dejan Lovren for this cup game and give other players a chance. Lovren has only just recovered from an eye injury and Matip iis only just reaching full match fitness. There is a case for Mamadou Sakho to start this game but he isn’t fully match fit yet so I expect Lucas to get the nod. Klaven started our first two league games of the season but since then Joel Matip has replaced him as most people expected. Klaven picked up a injury on the recent international break for Estonia and this is why he hasn’t featured on the bench either. James Milner has replaced Moreno as our starting left back but is now 32 years old so he could do with a deserved rest. This offers a big opportunity to the much maligned Spanish fullback to prove to Klopp he can improve defensively and grow into the role. Mignolet didn’t have a awful lot of saves to have to do, but he looked solid and controlled his six yard box comfortably. The Belgium has had a good start to the season so let’s hope it continues. Clyne was up against in my opinion the best winger in the league on his day in Eden Hazard and he did extremely well to shackle Hazard who had a poor game overall. Clyne seems to be building a good connection with Sadio Mane on the right hand side with Clyne helping out in attack and Mane coming back to help defend. Matip continued his strong run of form and he looks like he has been at Liverpool for years, comfortable on the ball, dominant in the air and strong in the tackle. Did extremely well all game and shackled Diego Costa extremely well. Made a slight error when he went to ground to early in the box and this lead to Chelsea getting a goal back but there were countless other errors in this goal. 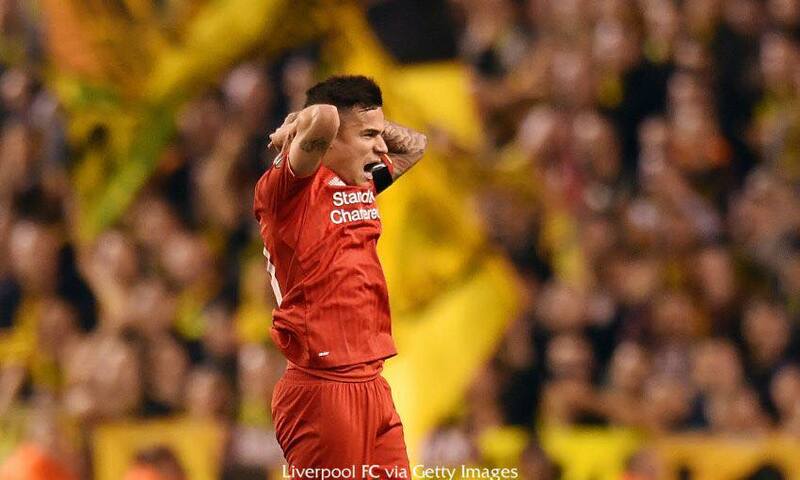 Got his first Premier league goal for Liverpool and to boot he had a impressive game at the back for us. 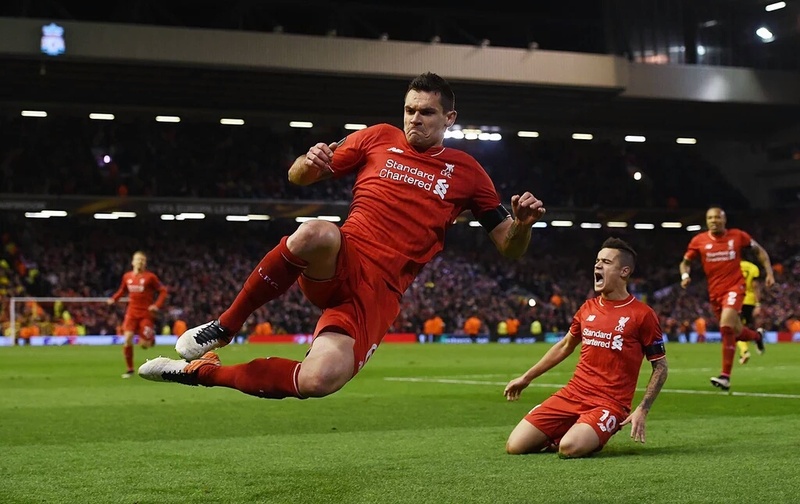 Lovren’s goal was a fine finish from a superb Coutinho cross into the box. The Croatian is building a good relationship with Matip at the back and this can only improve over time. I didn’t personally think that Milner could play left back but he’s been fantastic in our last three games, gets forward extremely well and helps out Coutinho but its his defensive work where he has impressed me most. Coutinho doesn’t track back a awful lot so Milner has to do a lot of defending on his own and he’s been holding his own in recent games, another fantastic performance as he stifled Willian extremely well on his side. Another good game for Lallana, albeit he was less effective today than in other games. Lallana worked extremely hard and ran around 12 kilometres once again, heckled Chelsea when they had possession and distributed the ball well when he had it. Wow, that goal probably would of won him this award anyway but a great performance to boot to for our skipper. He probably will never score a better goal than that as our Gerrard would have been proud of that himself. He’s adapting to playing as a number six really well as he has great balance to his game, he knows when to run and when to hold his position. Henderson really looked like a captain tonight, he was leading by the front foot and was shouting in the middle of the park, he really is proving the doubters wrong right now. I said this in the game with Leicester but this is his game in a Liverpool shirt so far, I didn’t think he was such a work horse but boy did he put in a shift in for this game as he looked absolutely knackered when he came off as a late substitution. Goals will come for the Dutch international if he carries on playing like this. Coutinho wasn’t involved in the game to much, especially in the second half but he still proved he is a difference maker with a beautiful ball to the back post for Lovren to smartly finish. Liverpool were sat deep for most of the second half so Coutinho understandably couldn’t get fully into it and he was substituted later on for Lucas. 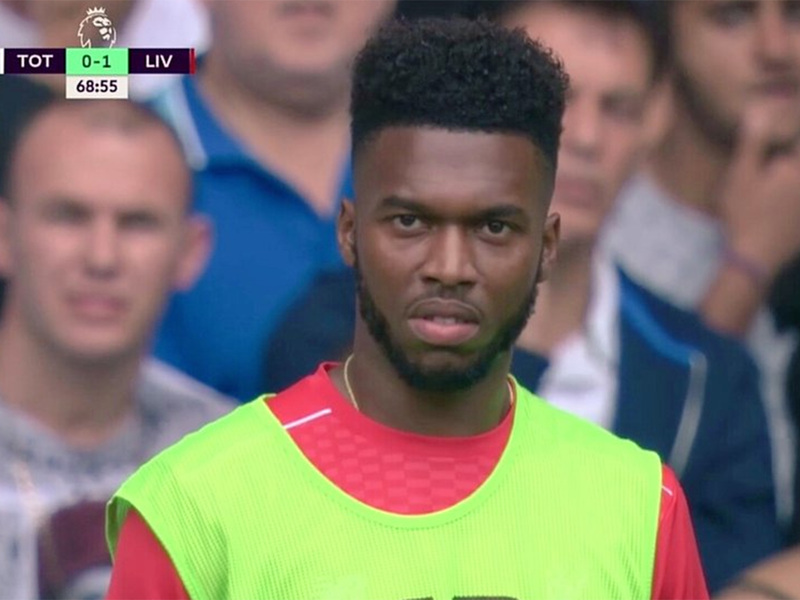 Sturridge was probably our least effective player on the park today, even in the first half when we were brilliant. He showed composure on the ball and a willingness to run but just struggled. Was taken off for Origi really early in the second half and he looked like he was injured but Klopp confirmed that he wasn’t and it was a tactical approach as Sturridge looked extremely tired, maybe a lack of match fitness. Mane was his normal busy self, turning and running at their backline constantly but was impressed me with his game today was his defensive work. Countless times he came back to help out Clyne nullify the threat of Hazard as he put in a selfless display. Red fans now have a chant for Mane and this shows just how quickly fans have recognized his talents. Origi struggled when he came on to be honest, we were sat extremely deep so Origi had no support with him up top as he constantly lost the ball. Had a huge chance to make it 3-1 after a good cross from Milner but Origi couldn’t convert from 8 yards as begovic made a great save to deny what should of been a goal. Came on and his job was to protect the back four which he did extremely well as he really helped calm the game down when he came on. Gave away a silly foul on Hazard just outside the box and if that gone in he would be criticized but overall he did well. Played about four minutes so really can’t give a rating. When Liverpool signed Adam Lallana back in the summer of 2014 eyebrows were raised at the 25million price tag that former boss Brendan Rodgers forked out. 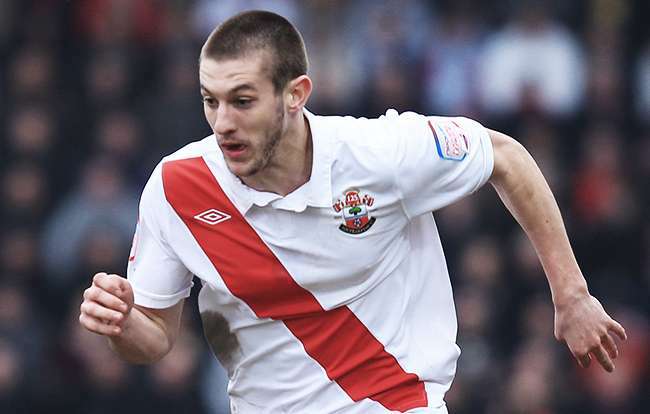 This was a player that had just two years experience in English footballs top flight division having played for Southampton for 8 seasons, playing in league one and the championship before Southampton were promoted to the Premier League in 2012. 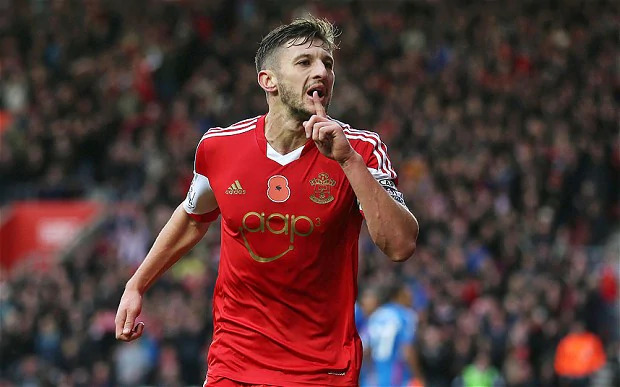 Lallana was a key figure in Southampton earning back to back promotions from league one to the Premier League, he scored 8 goals in the season they were promoted to the championship from league one and scored 11 goals in the championship where they spent just the one season before reaching the so called ‘holy grail’ having fallen so far away from top level football for a number of years. Lallana struggled to get to grips with the Premier League in the Saints first season back in the top flight and it wasn’t till the second season where he showcased his talents to the world, he scored a impressive 9 goals in the league for Southampton as they had achieved a top half of the table finish and he also got in the PFA shortlist for player of the season at the annual Premier League awards. Lallana was rewarded for his good season with a place in England’s 2014 World Cup campaign, and this prompted Liverpool to swiftly move in for him. 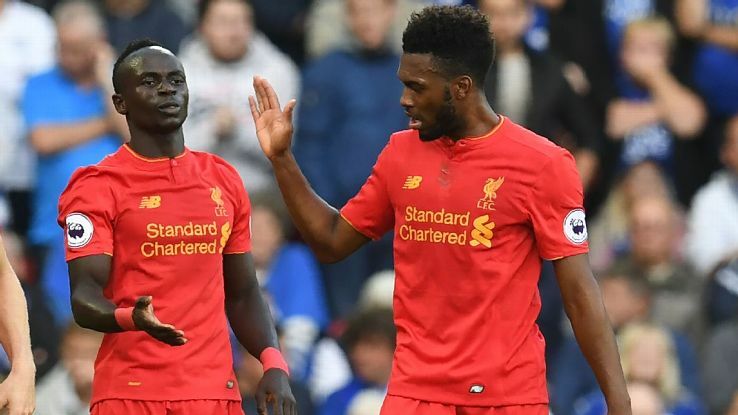 Liverpool have already added some fresh faces to the club but where do we still need to strengthen and what positions are we possibly to stacked in? Liverpool has goalkeepers a plenty right now, Mignolet and new signing Karius are vying for the first team place with one destined to be sat on the bench. This was a void that Liverpool really needed to improve as Mignolet needed somebody to at least put the pressure on him, or even replace depending on the Liverpool fan that you speak to. Danny Ward, who is the third choice now, has recently signed a new long term deal at Liverpool but will be loaned out to Huddesfield in the championship for the season and Liverpool are heavily rumoured to be signing 39 year old Alex Manninger who would be the third choice for the coming season if signed. This then means that Bogdan has no future at Liverpool despite featuring in the Reds preseason friendly against Tranmere for 45 minutes and has been heavily touted to move to Wigan in the coming days. Verdict: Liverpool has plenty of options in this position but with the departures of Ward and Bogdan a third choice could be important to get wrapped up. This is a position where Liverpool does need to strengthen as the lack of depth in these positions is risky to say the least going into the upcoming season. Nathaniel Clyne was signed last summer and he made the most appearances of any Liverpool player last season making over 50 appearances in his debut season due to the lack of options to even rest him. He had a fantastic season but we were lucky he never got injured last season as Randall would of had to come in if that was the case. Flanagan is back now and hopefully gets a full preseason of playing football as he has been badly missed and he would fill the void of being clyne’s understudy if he can stay fit. On the left side of the defence we have the much criticised Alberto Moreno who hasn’t massively impressed since signing two years ago, his attacking prowess is unquestionable as he was by the far the most creative full back in the Premier league last season but it is his defensive work where he is often found out of position and lacking the intelligence to play this position as he is caught out on a consistent basis. His tackling is rash, he often loses out to stronger players but he does have the pace to help him out at times. If Klopp can curb his erratic defending there is no doubting he would be a fantastic first choice it’s just whether Moreno can learn to defend better. With Moreno’s understudy being either Flanagan, again, or Brad Smith the options in this position is not that strong. Brad Smith is very similar to Moreno where he is very good offensively but his positioning and overall defending is poor. Verdict: I’m overall happy with the two first choices in Clyne and Moreno, but we at least need another good left back to be able to challenge Moreno on the left side. Flanagan is a very good understudy for Clyne providing he can keep himself fit this season.